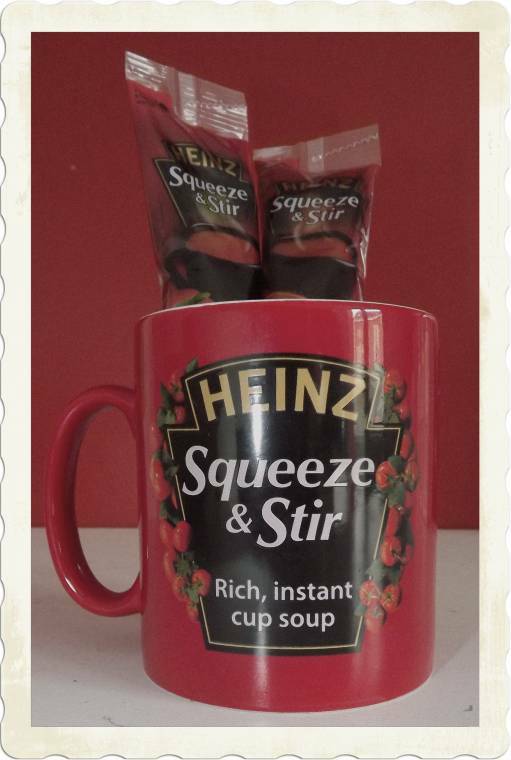 Heinz have just launched a new squeeze and stir soups and I have been sent a few to try. These soup are a great idea for people looking for a quick and easy healthy snack in a instant. With more and more of us living life on the go it can be hard to find healthy snacks to see you through the day and these soups are full of flavour and goodness. Heinz have been around since way back in 1910 when they first launched cream of Tomato soup. Soup fans know “it has to be Heinz”. These lightweight sachet are great for carrying to about so you can always have a healthy snack with you (saying that you need to have a kettle,mug and spoon). A great idea for taking to work with you for lunch,a warming snack on a rainy day or just a healthy accompaniment to a sandwich at tea time. I think these packs are a really good idea as I sometimes feel like a mug of soup but don’t fancy a big tin to myself. They are easy to make up and taste really nice,I also see myself buying quite a few this winter time…. The flavours that is available are Cream of Tomato,Minestrone,Mediterranean, Vegetable and Cream of Tomato with Basil. The flavours I have been sent taste really nice but I am looking forward to trying Cream of Tomato as this is my Favourite. I was sent 3 soups and a cup to try them out. "Welcome To The Weekend Bank Holiday Special…"
Interesting…will have to try those! New follower stopping by from Fabulous Classroom and Halloweeenkidz 🙂 Have a great week! I am a soup lover so I will definately try this! Ohhh la la, I'm a winter give me soup for lunch gal. I will definitely give these a try because we are huge Kraft fans at my house. What I love about this is where my daughter works they have a microwave so she often takes her lunch. Soups to go would be perfect for her, it would help keep her warm when she is working around/in the freezer area. Oooh I love Heinz Tomato. These would be great for our caravan trips too. Thanks for the Heads up. I have seen these in the shops but haven't tried them yet. I drink a lot of soup in winter for lunch and tomato is definitely my fav!! Think I will be trying these and hopefully stocking up. I wish they weren't all tomato based 🙁 I love the concept.